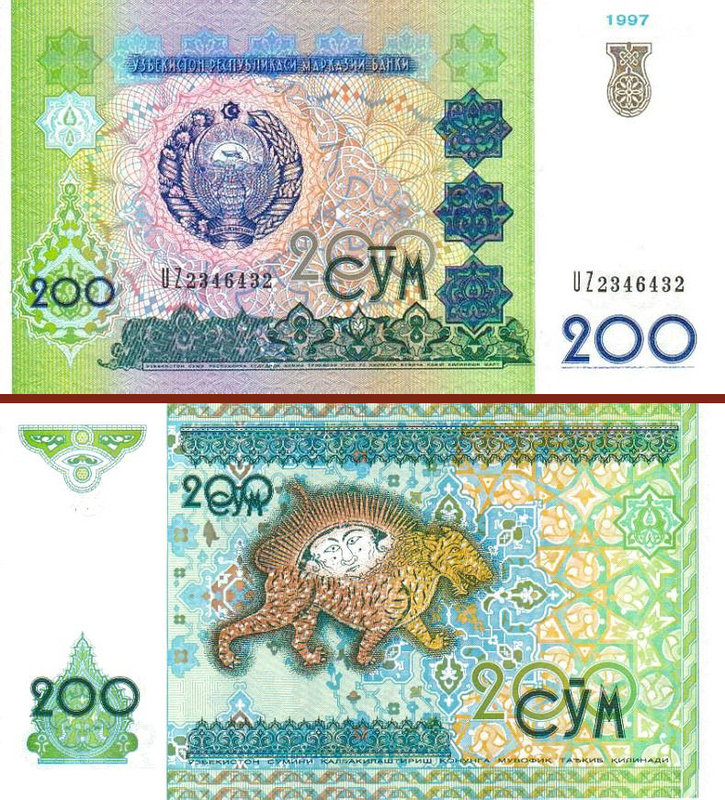 Uzbek sum is official national currency of Uzbekistan. Letter designation of Uzbek sum is UZS and digital is 860. 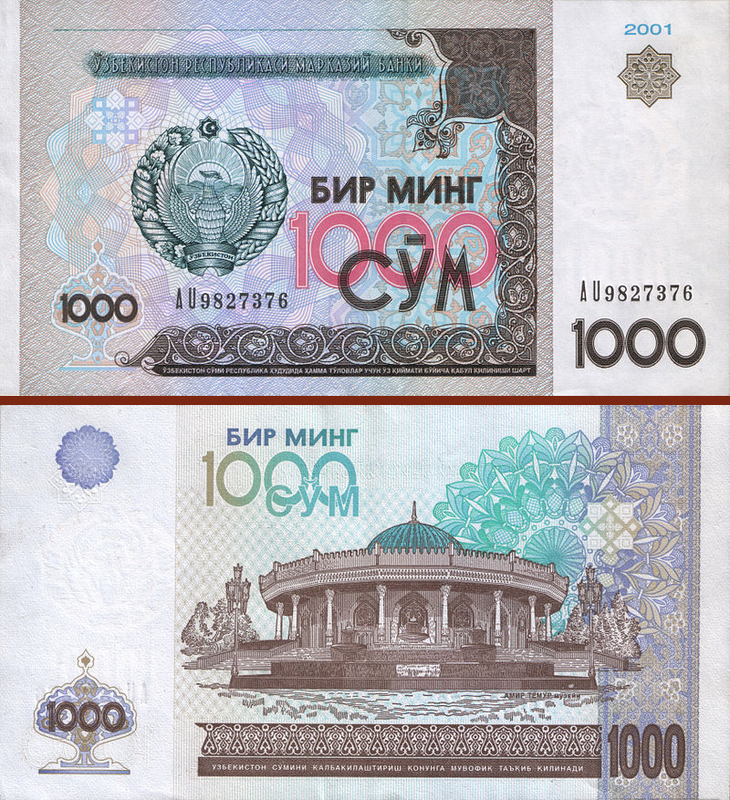 One Uzbek sum is one hundred tiyin. 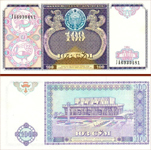 The monetary unit with the name "sum" has been enacted in Uzbekistan in 1992. At that time sums were coupons, and it was planned that these payment means will be temporal in the country. 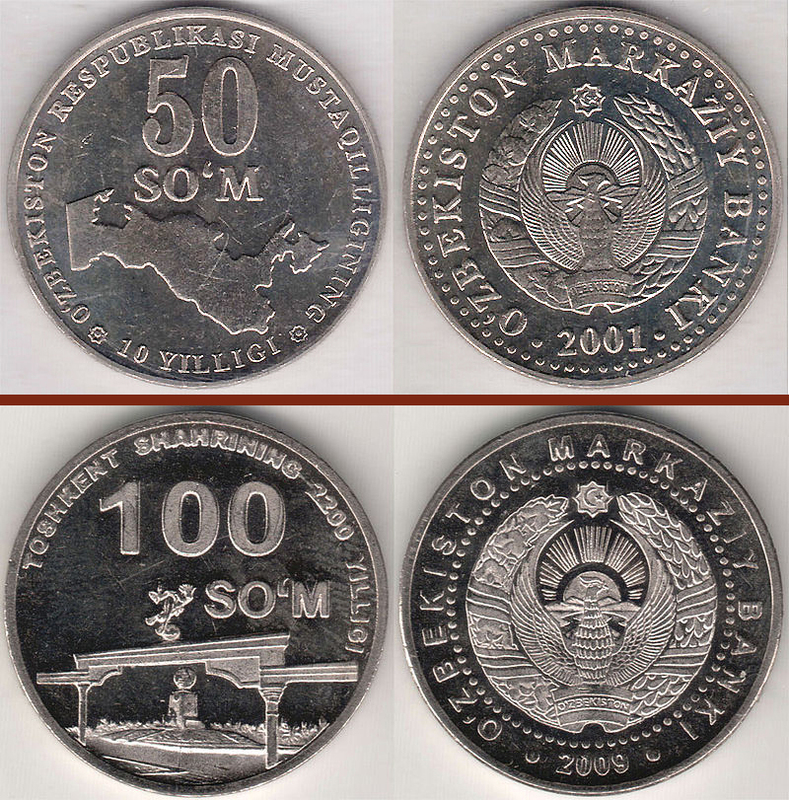 In a year it has been decided to enact the Uzbek currency with the same name - sum. So the Uzbek currency had the following rate that time: 1 unit was equal to one thousand old sum-coupons. 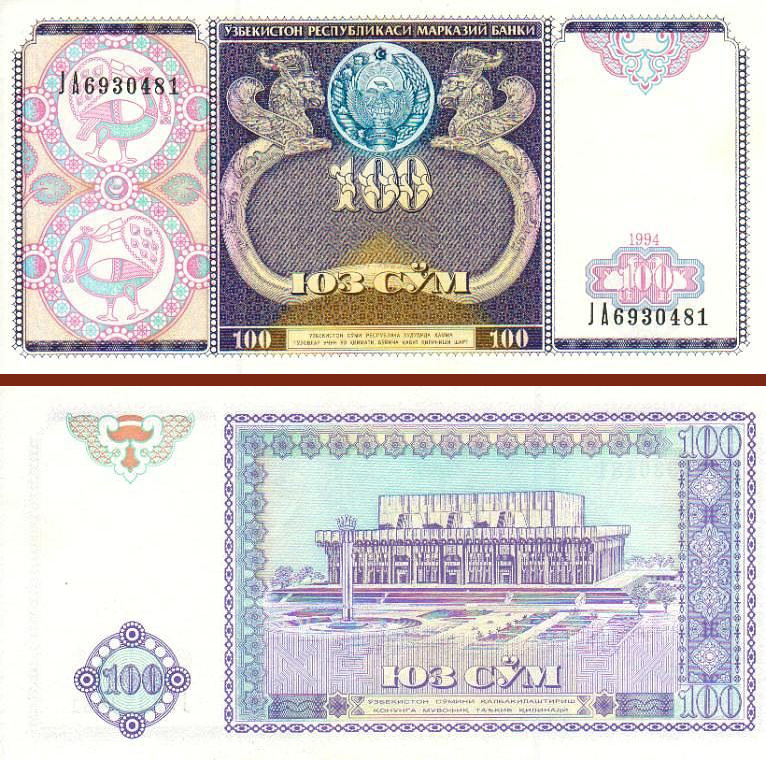 In 1994 Uzbek sum became official national currency of Uzbekistan. It has been decided to name sum-coupons as "old sum", and the Uzbek currency which has come instead was called "new sum". 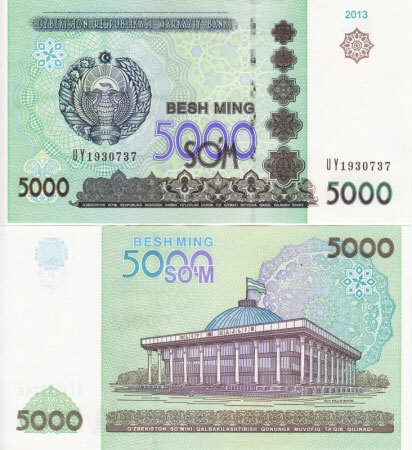 Uzbek sum is a national currency of Uzbekistan; it is not a free convertible currency. The national currency of Uzbekistan cannot be taken before arrival in the country. 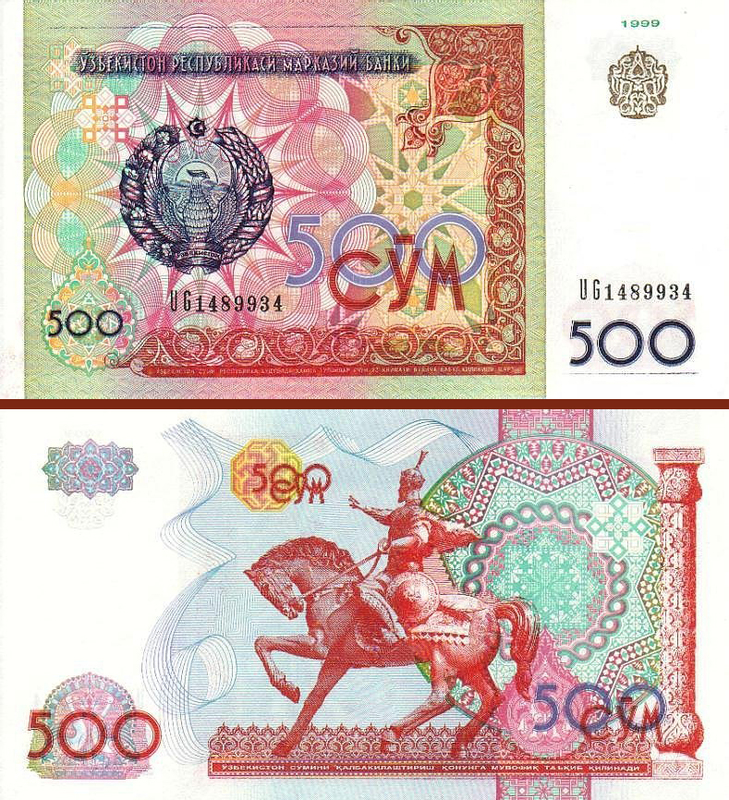 In Uzbekistan circle of 4 kinds of banknotes available in denominations from 100 to 1000 sum, and coins in denominations of 1, 5, 10, 25, 50, 100 and 500 sum. All over the country you can easily find exchange offices. Frequently, such offices are located in hotels and at the airports. Besides it, money can be exchanged at almost all branches of banks. The most widespread currency which is accepted by banks and exchange points are US dollars, euro, Japanese yen, the Russian roubles. Guests of Uzbekistan should remember that Uzbek sum is the only currency which can be used as payment means in Uzbekistan. Payment for the goods and services in other currencies is illegal and imply criminal responsibility.